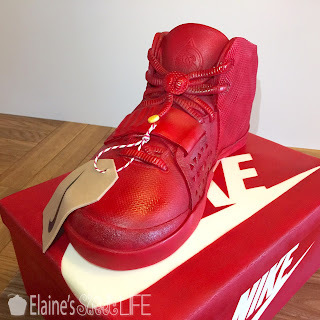 This was a really fun cake to make, made for a friend's nephew's 21st Birthday. 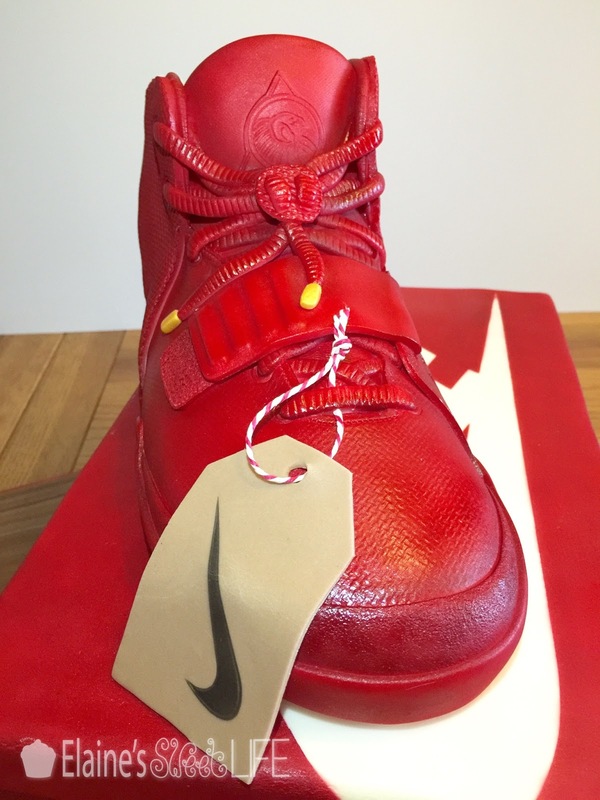 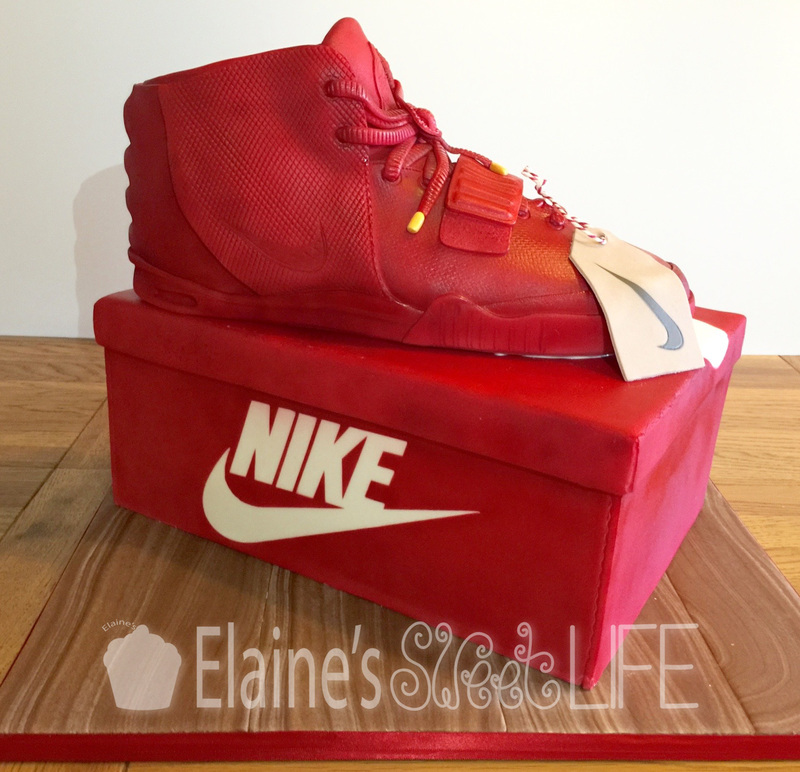 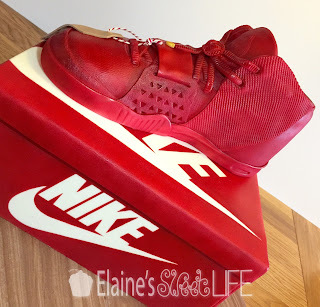 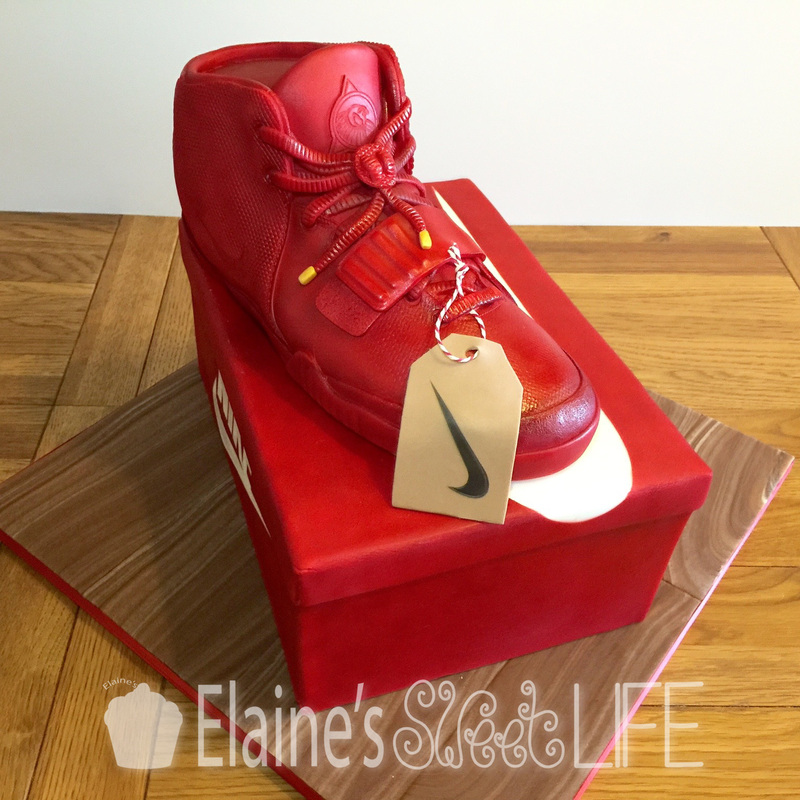 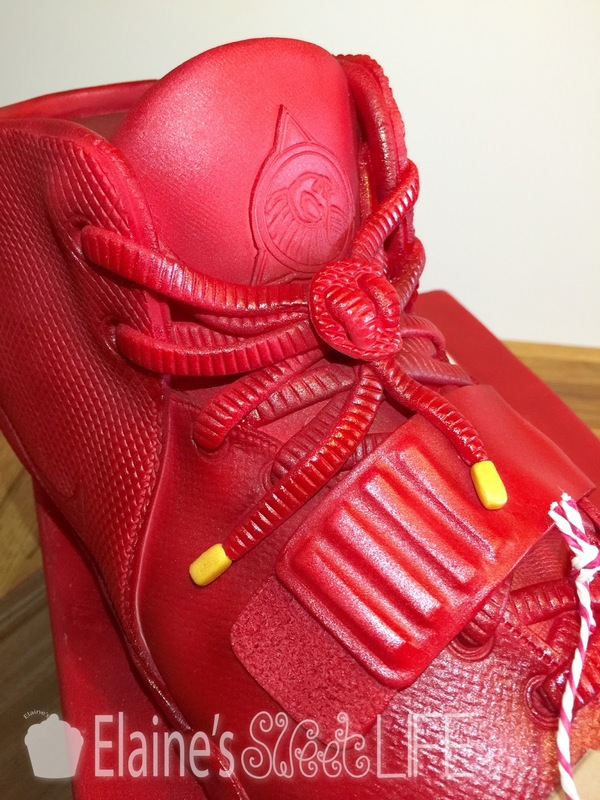 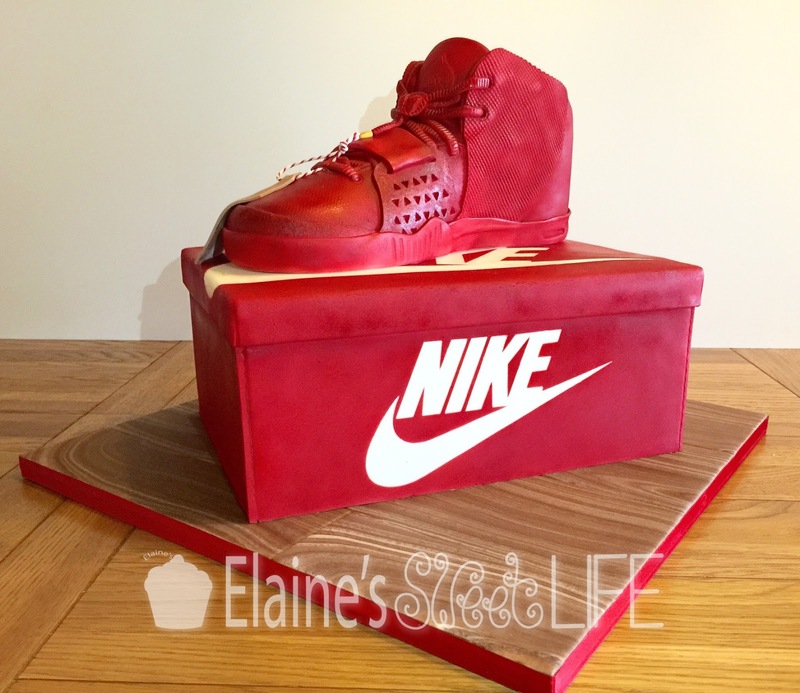 This young man is a huge fan of Nikes and apparently owns dozens of pairs, so a Nike cake seemed the perfect choice for his birthday cake. 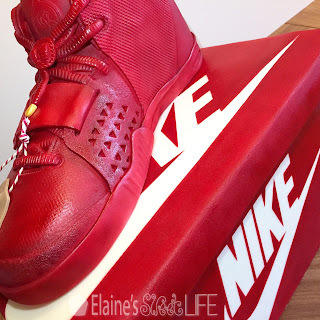 Apparently he loved the shoe so much, he kept it to take it into his studio to photograph! Guests were only allowed to eat the box. I was really nervous about making this cake. Though I have made quite a few sculpted cakes to date, most have not required the precision demanded by something like a shoe. I am also not a huge fan of 'square' cakes. 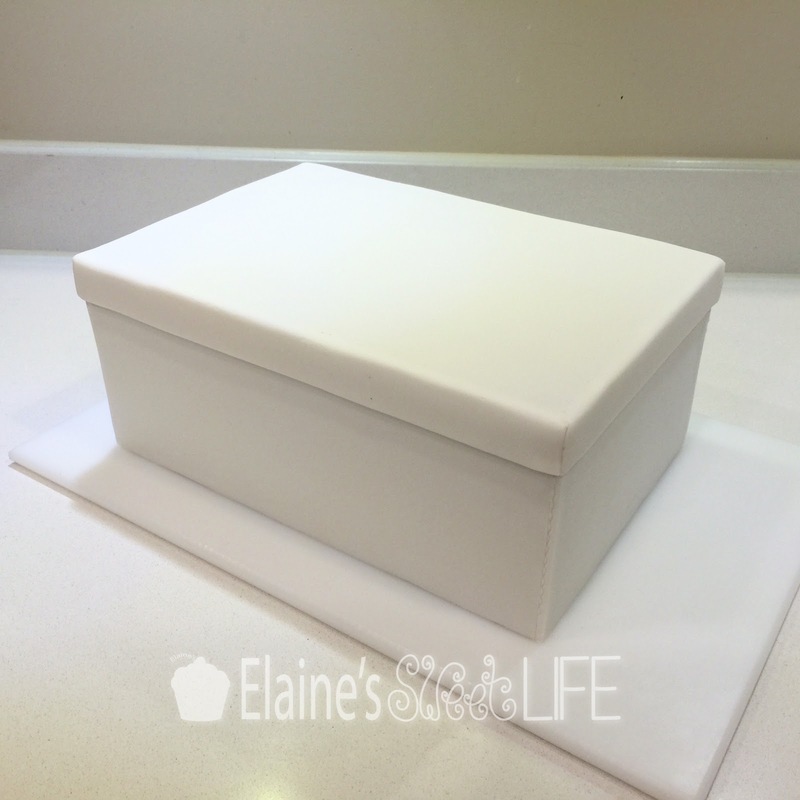 The box measures 12" by 8" and 5" tall. The shoe is a size 10 UK size. 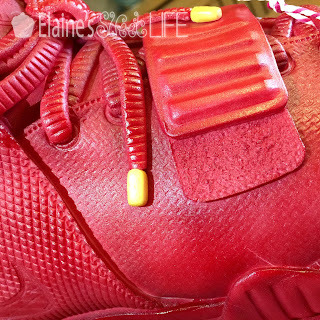 This particular trainer has a lot of detail and textural interest, I guess to make up for the fact that it is all red, so it was important to try and capture as many of those details as I possibly could. 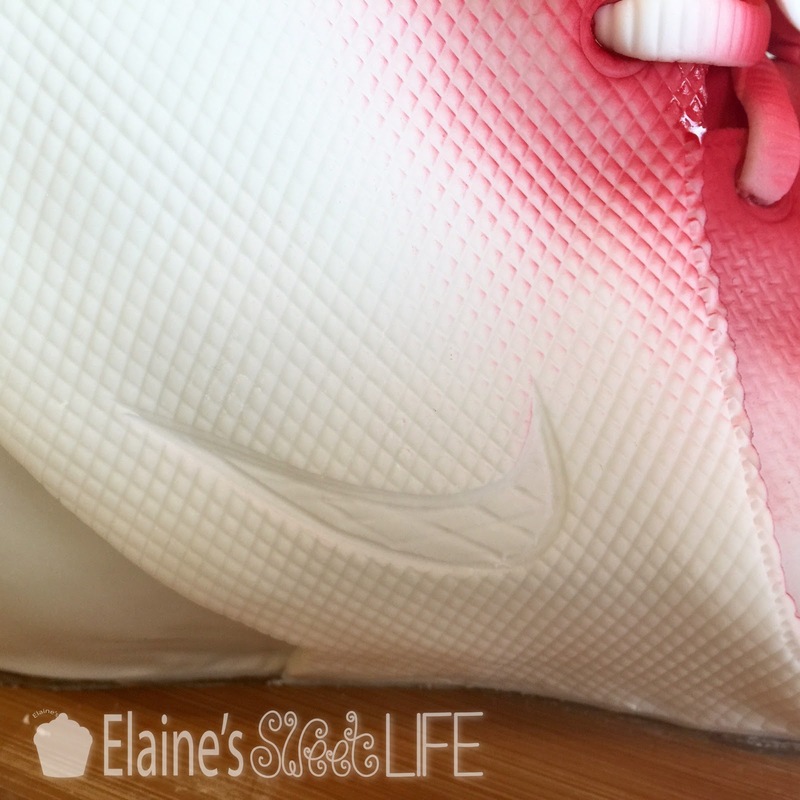 I made the little logo on the tongue by hand, using piping nozzles to get the circles, then detailing it with a colour shaper. 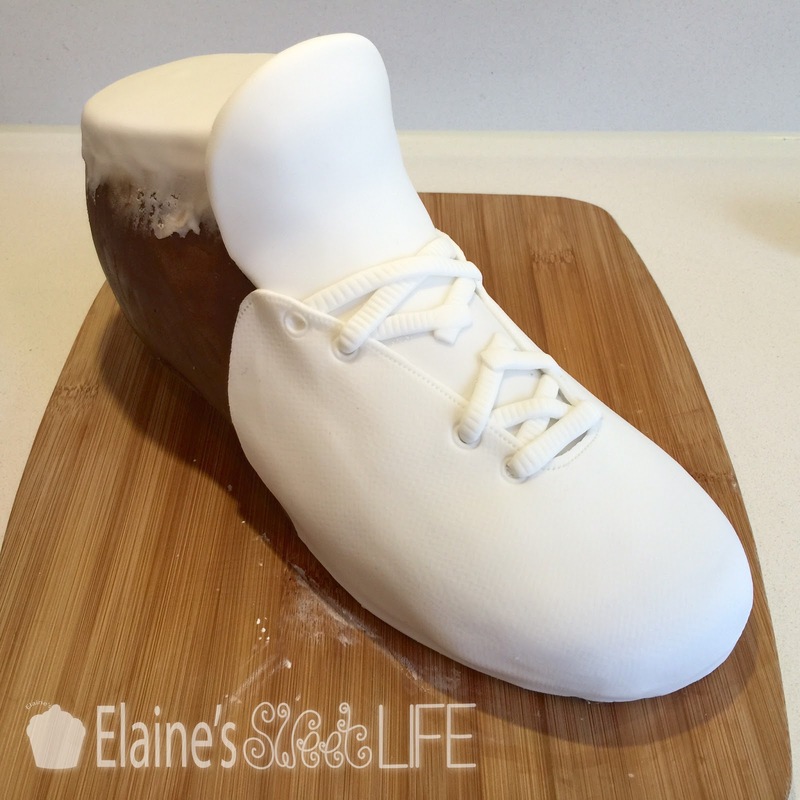 I did on very thinly rolled out fondant, then very, very carefully glued it in place. I had a great time finding various rollers, mats, fabrics and tools that I could use to create the different textures. 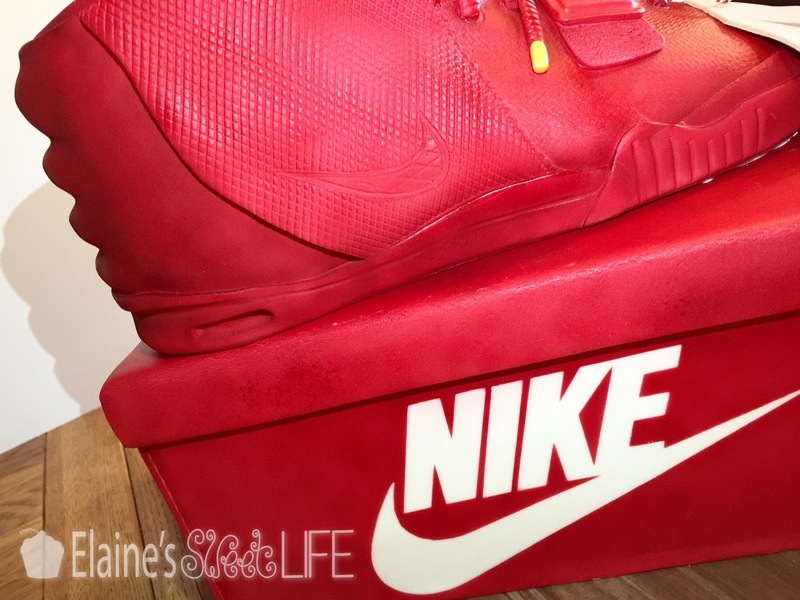 I detailed the box using reverse stencils, stuck on with Trex and airbrushing the red colour over it. 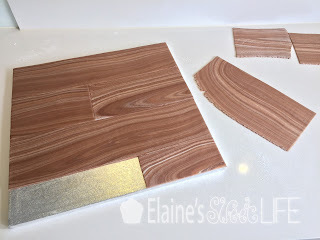 The cake board I covered in wood effect fondant panels, here's the tutorial. 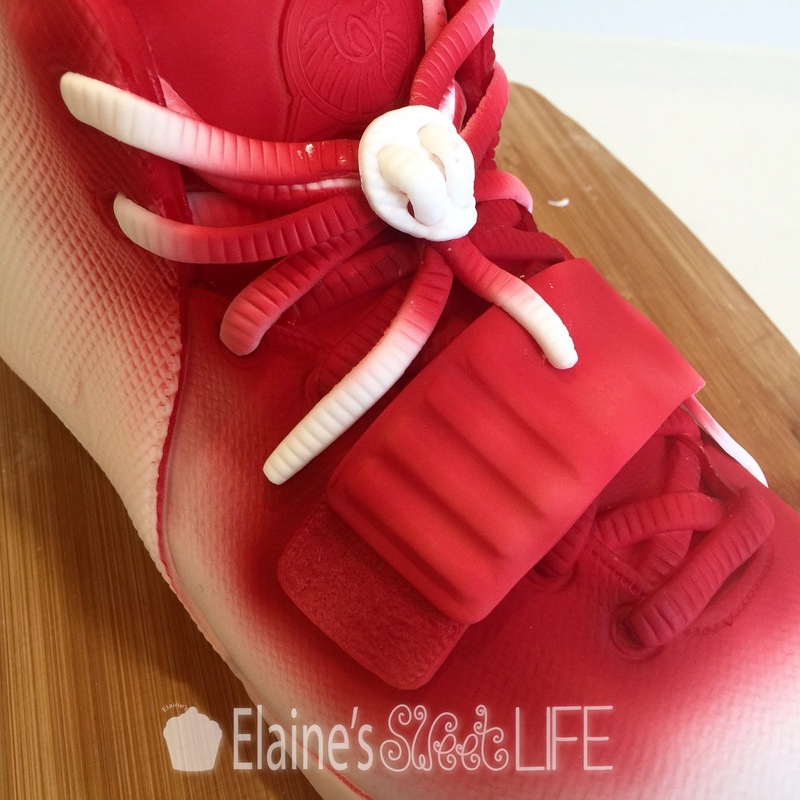 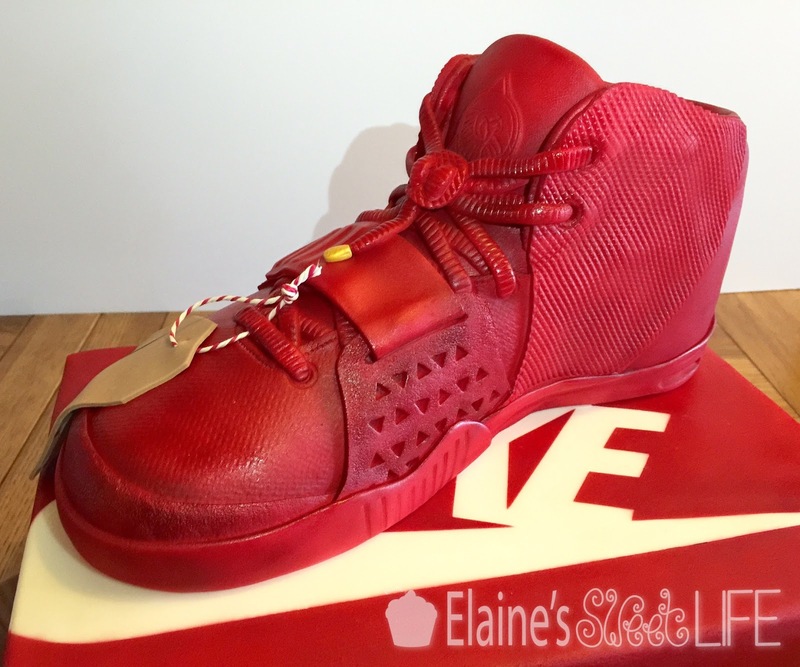 Both the shoe and the box were filled with the same vanilla sponge and vanilla buttercream (recipes found here). 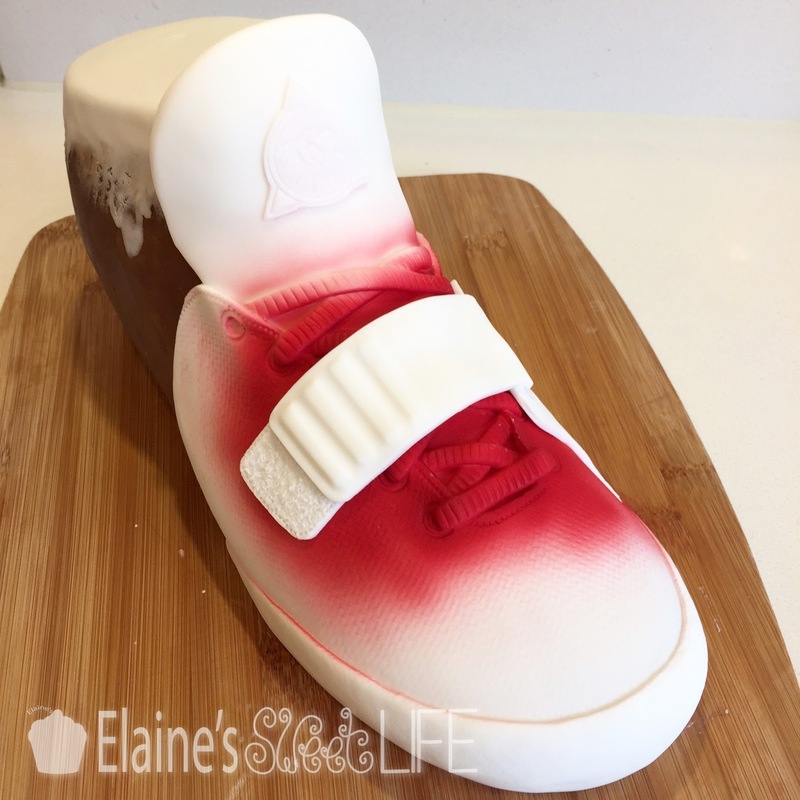 I then covered both in milk/plain chocolate ganache. 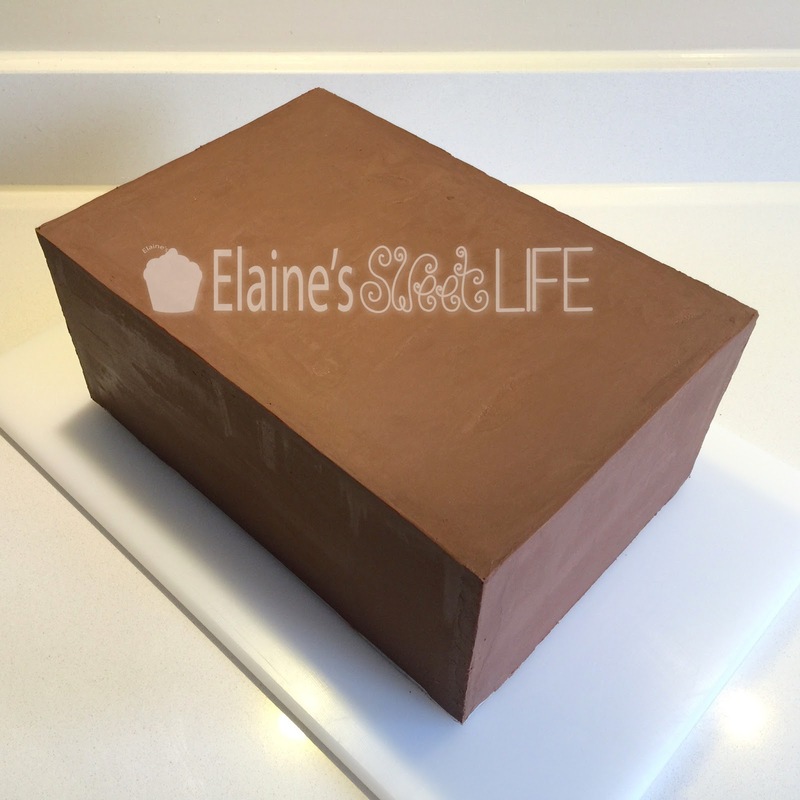 As I mentioned before, I don't particularly like covering square cakes, but I tried the upside-down method for the first time on this cake, and it worked really, really well! 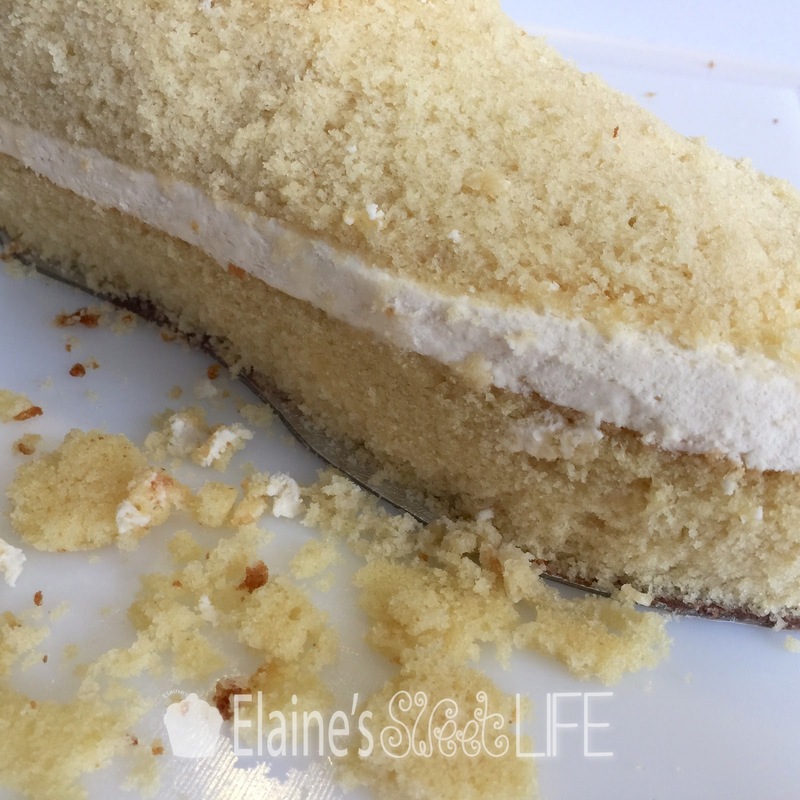 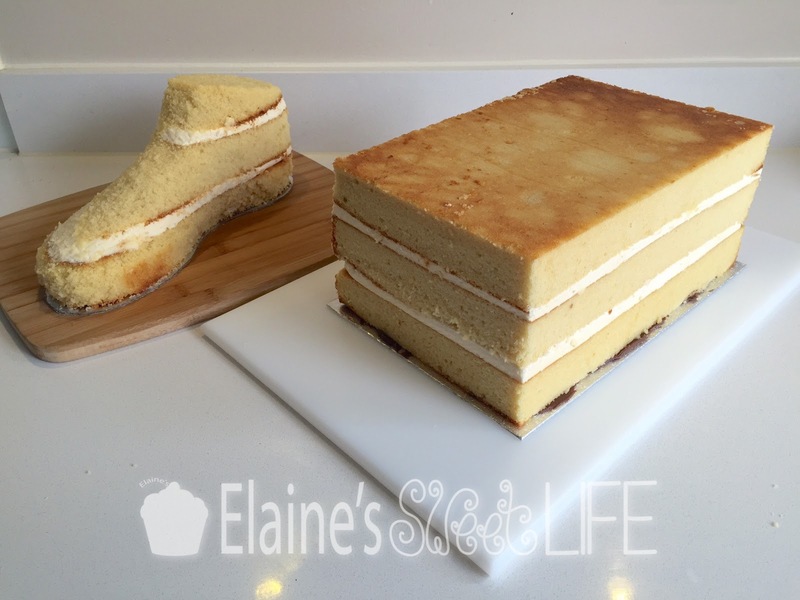 Perhaps I won't shy away from square cakes quite as much anymore. 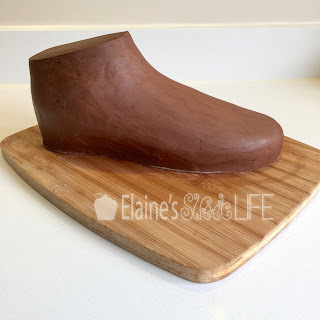 and detail by detail for the shoe - sticking them directly to the ganache (to reduce bulk from the building up of multiple layers). 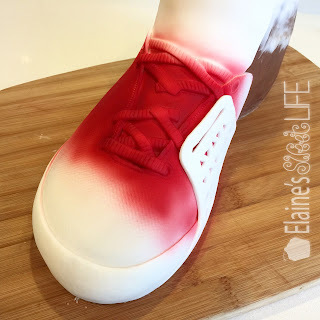 I needed to airbrush colour on to the shoe as I layered up to ensure good coverage of the white (really hard to airbrush into little nooks and crannies). 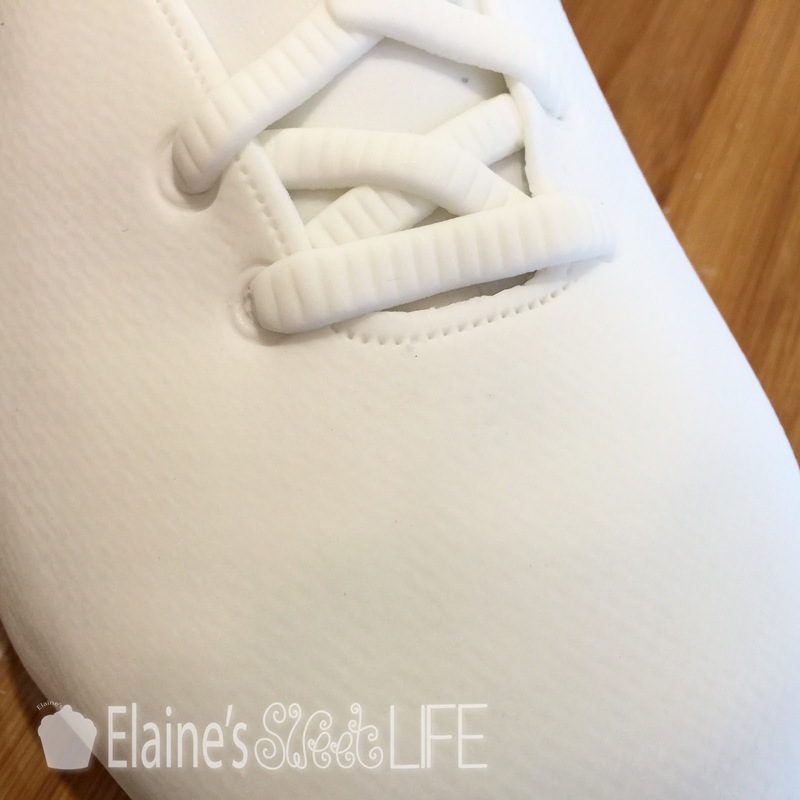 Each bit of detail added brought the shoe more and more to life.